Part cookie, part brownie — who doesn’t love blondies? This version with pecans and chocolate chips is SO easy to make. Part cookie, part brownie — who doesn’t love blondies? The best part is that they’re ridiculously easy to make: they have less ingredients than cookies (plus you don’t have to roll the dough into balls) and they’re easier than brownies because there’s no chocolate to melt. This version, made with chocolate chips and pecans, is my all-time favorite. To begin, combine the melted butter with brown sugar and granulated sugar in a large bowl. Beat until well combined, about 2 minutes. Mix on low until just blended. Add the chocolate chips and nuts. Bake for 25 to 30 minutes, until the top is set and lightly golden. Set the pan on a wire rack to cool. Using the parchment overhang, lift the blondie cake from the pan and transfer it to a cutting board. Preheat the oven to 350 degrees. Lina an 8-inch square baking pan with an 8x11-inch piece of parchment paper, leaving a 2-inch overhang on two sides. You'll have to create seams in the corners and along the edges of the pan to get it to stay put (you can always add a few dots of butter underneath if necessary). In a large bowl of an electric mixer, beat the melted butter with the brown sugar and granulated sugar until well combined, about 2 minutes. Beat in the egg and vanilla. On low speed, mix in the flour and salt until just blended. Stir in the chocolate chips and nuts. Transfer the batter to the prepared pan and spread evenly with a rubber spatula. Bake for 25 to 30 minutes, until the top is set and lightly golden. Set the pan on a wire rack to cool. Using the parchment overhang, lift the blondie "cake" from the pan and transfer it to a cutting board; cut into 16 squares. Freezer-Friendly Instructions: The blondies can be frozen for up to 3 months. After they are completely cooled, double-wrap them securely with aluminum foil or plastic freezer wrap. Thaw overnight on the countertop before serving. I made these Bars for the first time today……..they are fantastic! I have been searching for more 8×8 size desserts and have found several on the “once upon a chef” site to try. I look forward to trying more recipes. I did leave the nuts out in today’s baking……I replaced them with an extra 1/4 cup of Choc Chips. But, I do want to try them again with the pecans. Also, this recipe was so easy to make. Definitely enjoyed them…….they were a hit! Made these gluten free by substituting Pamela’s GF Artisan Blend Flour cup for cup. Also browned the butter instead of just melting it. Seriously recommend that step if you’re into the browned butter nutty taste! Also used vanilla sugar that I had made to up the vanilla flavor. Great recipe. BEST BLONDIES EVER. Very dense and gooey but a slight Crispiness on the top. I made this recipe and another blondies recipe and this once was the obvious recipe. Not cakey at all unlike the other recipe I tested. Next time I will double! I doubled the recipe and although they have a good taste, the texture was a little dry to me. I left them in the oven 30 mts so the top would brown. I should have taken them out sooner, more like at 25 mts. I think I want to change my review!😎 It must have just been close to the edges that were drier because after cutting further into the pan, they were plenty moist but not overly. They were a huge hit at the Super Bowl Party I took them to. Thank you, Jenn! When you doubled the recipe, what size pan did you use? These are delicious and so easy! I love a crowd-pleasing recipe where I’ll almost always have the ingredients on hand. I made a double batch in a 13 X 9-inch pan last night and cut them this morning. They cut beautifully. Another keeper from Once Upon a Chef! Made this recipe following pretty much all instructions. I used an old Corning Ware pan that was 8 x 8 and baked the blondies 25 minutes, without parchment, having buttered the dish well beforehand. I did use dark chocolate chips, as they are less sweet and tend not to melt too much. That said, I loved this recipe, which gave me the buttery, chewy texture so hard to find in blonde recipes. So, thanks so very much for the yummy results. Great recipe! Perfect for an impromptu New Years Eve Dessert with the family! I followed the recipe and baked in my round iron skillet. This seems like a wonderful recipe! I personally, however, like either more chewy/cake-like blondie recipes. Are there any recommendations you might have as to how to adapt this recipe to accomplish that? Thanks so much! Hi Connie, You can increase the flour a bit to get a chewier blondie. Hope that helps! Can you use brown butter? Sure – Hope you enjoy! Really delicious! I used chocolate wafers (I prefer the taste over chips) and walnuts. Really moist and probably the easiest thing I’ve ever baked. I made these for my six year old as his birthday “cake” since he doesn’t like cake and he loved it! My husband is not a fan of blondies but he said they were delicious and was disappointed they were devoured so quickly. I don’t normally have dark brown sugar on hand so I added a teaspoon of molasses and it added a nice richness. Great recipe! Is there a rising agent in this recipe? Hi Wanda, No, there is no baking soda or baking powder in the recipe. (These are more like bars/brownies and don’t rise very much.) Hope you enjoy if you make them! Yum! Quick, easy and delicious! Hi Stephanie, You’re right – there is no baking soda or baking powder in the recipe. And these are definitely more like bars/brownies and don’t rise very much. How did they turn out? Can light brown sugar be substituted for the dark brown sugar? can this recipe be doubled for 13×9″ family size batch? These blondies are so easy to make and everyone loves them! I sometimes use half peanut butter chips and half chocolate chips. So good for any occasion! these are great! I use a gluten free flour blend and they work out really well. not too sweet, chocolaty and nice. use the 8 inch pan – any bigger pan and the bars are too thin. Hi can I make these blondies in a brownie pan to make individual squares? Hi Lucille, these are made in an 8-inch square pan and then cut into squares for serving, so you should be good to go. Hope you enjoy! Hi Jenn, I gave these blondies a go yesterday and they came out lovely except they seemed to be super sweet. I’m wondering how firmly you should pack the dark brown sugar when you measure it out? Thanks! Hi Danielle, sorry you found these too sweet. Brown sugar should be packed down using medium pressure. Basically, you’re doing that so you don’t have any air pockets in the measuring cup. You could always reduce the brown sugar by a tablespoon or so next time. Hope that helps! Hi. A question before I bake these: we aren’t fans of TOO much chocolate but like some. If I cut the chocolate chips back to 1/2 c. and keep pecans at 1/2 c. will it still be enough? Some people in the reviews mentioned “gooey” as a good thing for the chocolate and that just might be what we wouldn’t like. ?? Sure, Jane, that would be fine. Hope you enjoy them! This is the best Blondie I’ve ever eaten. I didn’t use chocolate chips, just pecans. Loved it!!! These are basically chocolate chip cookie brownies.. and I LOVE IT. My boyfriend and kids now request them almost weekly! The Pan never lasts a day because they’re best warm. It’s quickly become our favorite dessert. Thank you! Ps, a warm square of this with a scoop of vanilla ice cream is literal heaven. Oh dear, these were lovely! Soft on the inside with a hard crust on outside. Used semi sweet chips to offset sweetness. Also doubled the recipe in a 13×9 pan and turned out perfectly. I found I didn’t have to spray the pan or parchment paper. They were quickly gobbled! I was really excited about these blondie bars because the reviews were so great. I followed the directions to a t and my bars came out a greasy mess. I even went back over the ingredients several times thinking maybe i added too much butter or too little flour. These are so incredibly greasy it’s like eating a stick of butter. Honestly I am really angry about this. I’m so sorry these did not turn out for you, Jessica! They are meant to be a little wet in the center, like brownies, but they should not be greasy at all. Could you email me a photo at [email protected] so I can see what you mean and help troubleshoot? Jessica, Did it ever occur to you that you did something wrong that maybe you’re not aware of? Maybe your oven isn’t calibrated? I mean 90 cooks made these and they turn out perfectly, and you make them and they’re greasy? So much so that you’re ANGRY? Anyway, great recipe! The first time I made these they were so good I loved the texture. Today I made them again and they’re super oily because I added pecans. I want to try using only 1/4 cup of pecans; I’m hoping that will reduce the greasiness. Jessica you should try these without pecans I’m sure you’ll love them. Have made these several times now. I slightly undercook and they come out great every time. Worth it to use parchment as they come out looking just like the photo- so yummy. A keeper! Made these for a group of discerning “tasters” — basically gave one piece to 16 different people and every single person raved. One neat/helpful comment: “I really enjoyed the subtle sweetness, texture, firmness, and perfect blend of chocolate and pecan flavors. Oftentimes, I find these types of bars to be disproportionately sweet–certainly not the case with yours.” Seems to be the perfect blend of cookie and brownie into one delicious dessert experience–much, much better than just the Tollhouse in a pan type of thing. Followed the directions exactly–cooked in 9×9 metal pan for 23 minutes. Will make this recipe time and time again and am thrilled to have it as a go-to. Thank you for more perfection, Jenn! Absolutely to die for blondies! Love them! Easy, decadent and delicious! I needed to omit the nuts (one of my kids has nut allergies) and one time I added a few handfuls of caramel chips-Really good! I haven’t met one of your recipes that wasn’t fantastic–I always go to your site first to see if you have what I need. These are fabulous! Excellent texture and not too sweet, we thoroughly enjoyed them! Sublime comfort food for a snow day treat for the kiddos (and me!). My eager test-tasters came back for more…and left crumbs! Takes no time to prepare. The texture is not too dense, the aroma as it baked brought back memories of my mother’s kitchen. Perfection at its easiest! These are my favorite blondie recipes! I tend to replace the chocolate chips with white chocolate morsels instead and I’ve replaced the walnuts with almonds when I’ve run out. They’re fantastic and the texture is wonderful! I was never a blondie fan and can’t really say why, but these are perfect. Just the right chew and disappear in no time. I now make these instead of my favorite chocolate chip cookie recipe which I thought was hard to beat. This has become my favorite “go to” sweet treat to make! It can be made so quickly! You don’t even have to let the butter sit to soften. No need to think ahead. You probably already have the ingredients! Awesome, Jenn! Thanks a bunch! A baked treat that is amazingly good and efficient to make as well! I decided to make these thinking I had all the ingredients but I had Organic Cashews instead of Pecans. OMG they are amazing! Absolutely delicious and they really are even better the next day. I’m not sure any will survive a third day, it took willpower not to eat them all the first day! These cookies are deliciously. They were so easy to make and stayed soft and chewy for days. Will definately make them again. This is the very best recipe for blondies! I followed the recipe to the letter and wouldn’t change a thing. Delicious! Hi,can i put frosting on top? Hi Liza, I’ve never thought about it — These are pretty sweet as is, so it’s definitely not necessary, but I think it’s doable. LMK how they turn out if you ice them! Thank you Jenn for another winning recipe! These were Super bowl Sunday treats and a hit! First time I made them and gone in no time. We all love chocolate, so instead of 3/4c. of semisweet, I did only a 1/4c. Then another 1/4c. each of milk chocolate and white chocolate. I did add the pecans. Looking forward to making these yummy blondies again. Is there a way for me to substitute the egg? I want to make this for a putlock but one of my classmates has an allergy towards raw egg. Any suggestions? Hi Johnay, you mentioned that your classmate is allergic to raw eggs – the egg is cooked/baked in this recipe. Will that work? These bars are fabulous. Everyone asks for seconds. It’s also very simple to make. Hi Jen! My family has been LOVING all of your recipes — thank you! Quick question about the blondies — can I make them ahead and freeze them (and then just take them out the day I’m going to bring them to someone’s house for dessert)? So glad you are enjoying the recipes! Yes, these should freeze nicely. Hot damn! This is a good recipe. I love blondies, but all the recipes I’ve tried have lead to dry and not-so-flavorful bars. These were wonderfully chewy, and just salty enough. I did reduce the chocolate chips a bit (personal preference). A true delight. Thanks! I followed your recipe exactly and it didn’t turn out right. Flat and not at all gooey or as in your photo. I bake constantly – what went wrong? Hi Deb, I definitely think you could substitute white chocolate here. I’m sorry, I’m not sure which other recipe/post you’re referring to re. the nuts…but I think the pecans would be wonderful with the white chocolate. Hope that helps! On the blondies, what’s the oven temp? Hi Helene, the blondies should be baked at 350 degrees. Enjoy! Seriously, the best blond brownies. The gooey chocolate chips in the brown sugar medley with pecans is the way to go. Use parchment! Such a breeze. Fabulous recipe and I brown the butter which adds a certain depth. Jenn’s blog is my “go to” recipe site and I’ve never been disappointed. Thanks for all of your wonderful recipes. Love these squares. They turned out perfect. As I don’t care for chocolate I substituted for raisins. Yummy as all your recipes are. I can’t tell you how many times I’ve made these yummy little treats. The recipe delivers a chewy, moist, chocolately bar. I love how simple the recipe is…sometimes I add chopped walnuts or pecans, would not change a thing-so good!! These are delicious! Very easy to make and always a hit for company! Hi! I bought a brownie tin which is 11X 7 inches- how would I alter the recipe? By double? Yes, I think doubling it would be appropriate. Bake time may be a bit different, though, so just keep an eye on them. Enjoy! I absolutely LOVE this recipe. The texture is perfect and they are so easy to make. I was wondering if you think I could sub dried cranberries and white chocolate chips for the walnuts and chocolate chips? I’d like to try a different spin on them for the holidays. Sure, Erin – they sound like tasty swaps – glad you enjoy these! I made and shipped these to my daughter after asking you for recommendations on treats that would ship well and taste good when received two or three days after baking. My daughter and her friends loved these blondies! She said they were just what they needed while studying for a chemistry mid-term. Thank you so much for the recommendation and quick response. Your recipes never disappoint. 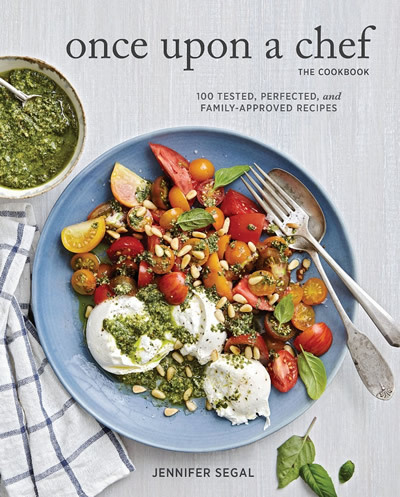 I have already ordered your cookbook and should be cooking something from it by April 6! I wasn’t jazzed about these when I I had a bite just out of the oven and cooled. However, the days after were soooo much better. The longer they sat the better they tasted. I’ll be making these again to see if that’s still the case. Overall very good to satisfy the sweet craving and with basic ingredients for which I didn’t have to make a separate trip to the store. My whole family loves these. They are a great treat for when the kids get home. We omit the nuts because my kids prefer them without nuts and they are still fantastic. Thank you, Jenn, for such a family-pleasing recipe! Keep them coming! Where have these been all my life?! This dessert is perfection in terms of taste, texture, and simplicity. I’ve made it exactly as written each time. It’s also the perfect middle ground for my cookie-loving husband and brownie-loving self. Our little ones love this dessert as well! Thanks for another delicious tradition! I wanted something sweet and had all the ingredients for Chocolate Chip Pecan Blondies. They are so so good! This is a keeper and will make this over and over again. I like the fact that when I use your recipes they always come out wonderful. Question: I love coconut and can this be added to this recipe? If so, how much and would use unsweetened coconut? Hi Suzanne, I do think unsweetened coconut would be good in these – I’d probably start with about 1/2 cup and see how you like it. I just wanted to make something chippy, quick and easy. (Rule in my house is, if I want a sweet snack, I have to make it from scratch). Since I had chocolate chips and pecans on hand, I googled, “chocolate chip, pecan blondies” and this recipe came up. I liked the simple recipe because I was feeling lazy but still wanted something sweet, quick and cookie-like. Glad I found these! I doubled it, then added some extra nuts and white chocolate chips as well. I love them!!! I will be adding this recipe to my go to favorites! Love the buttery flavor, the texture is perfect, they’re quick to make, and only requires the basics, which I always have on hand. Also, since I lost my old recipe, I might use the base to make my trail mix bars! It seems perfectly suited for those. Yum! Hi Jenn, did you doubled the recipe because your blondies look much thicker in the picture than mine after baking,but taste was very good. Could this be made in mini muffin tins for bite size for a shower? I’ve made the recipe as is before and they were perfect so I am afraid to mess with perfection. Sure, Patty – just reduce the cook time. I’d start checking around 12 to 15 minutes. Just to follow up, I made the blondies in mini muffin tins and baked for 13 minutes. They were perfect. Thank you! That is a great idea! Some people want only a bite of something sweet and will leave a whole bar, so this is the answer to that. Anyone who wants more can take more. Can’t wait to make them! Easy to make, fail proof, freeze well. This is the best Blondie recipe I have ever found. I make it frequently for my teenaged son who loves them. They are moist, easy to make. I make them for potlucks & bring home an empty plate everytime. Thanks for a 5 star recipe! I made these today to bring to a birthday celebration for a gentleman who was turning 84 years old. He absolutely loved them. I think that he told me four times “these are really good”. Everyone loved them. I did use dark chocolate chips because I like them. Other than that, I made no changes. Thanks for another great recipe Jenn! This recipe is so good. It literally takes 10 minutes to throw together the ingredients. The blondies are absolutely delicious. I used chopped bittersweet chocolate instead of chips. Hi, Jenn. I baked these blondies early this morning. I doubled the recipe and baked them in a 13×9 pan, but I cut back on the butter and shouldn’t have (you know best!). With the reduced butter, the bars were too firm on top and too dry on the edges, but I baked them a little too long and my oven runs hot (someone is coming Monday to re-calibrate it). Nevertheless, the centers were tender and perfectly gooey from the chocolate chips. I trimmed the dry edges and cut them into two-bite pieces and layered them with parchment between each layer. This made them easy to transport. I gave them to my doctor and his staff, and everyone raved about them! They were one of the least time-consuming things I have ever baked. They will make nice birthday, holiday and all-occasion gifts packed in decorative gift tins and tied with beautiful ribbon. I just made these and, oh my, are they heavenly. We’ve got a nut allergy in the family, so ours were nut free, but still so wonderful. And they are really quick to put together…the cooling time was torture!!! These are so simple yet amazing! Very easy and quick to make…inexpensive too! My husband said this is his favorite dessert!! I did not have any non stick cooking spray, nor did I need it. Took these to a neighborhood party so I doubled the recipe as is and baked in a 9 x13 pan. I baked them for 30 mins. They tasted great but were alittle too buttery. Do you think I could reduce the butter to 1 1/2 sticks for a double batch? Hi Cindy, I do think you could cut back on the butter when doubling it. I might start with 1 and 3/4 sticks of butter and see how that is. How many servings to recipe? This makes 16 squares and a serving is 1 square. Hi Ashley, They are definitely more like bars/brownies and don’t rise very much. These are a great item to take to a potluck. Mine disappeared in minutes! I doubled the batch and cooked it in a 9×13 and did not have to change any times or anything. They cooked up perfectly. A great alternative to brownies – and so yummy! I made these for dessert for company tonight and everyone loved them! Thanks for another winner!! I make these often! They’re perfect for when you have a cookie craving but don’t feel like putting in cookie time in the kitchen! I highly recommend using fine salt here – I initially made these with kosher salt, and while they were still excellent, the finer salt distributes noticeably better in this recipe giving the perfect salty/sweet balance. Also, the parchment paper trick is genius! Excellent for making pretty brownies too. One question: what would be the outcome if I added a melted white chocolate bar (180 grams) to the batter? Would I have to make any more changes to the ingredients or the measurements? Hi Patricia, I don’t think any adjustments to the recipe would be necessary; I just think the blondies would be more dense. I think you may get a better result, though, if you cut the bar into small chunks and add it to the batter that way. This is the best Blondie recipe I have found. It’s moist & flavorful just as written. I’ve used it as a base to add different flavored chips, toffee bits, different. No matter the flavor combo you go with, the original recipe is superb. My very picky 17 yr old bar cookie connoisseur won’t share a pan of these, even with his girlfriend! Nuff said! I make these all the time. I usually have every thing I need and because the butter is melted, I can pull it together at the last minute. Everyone loves these. Hi Jenn! 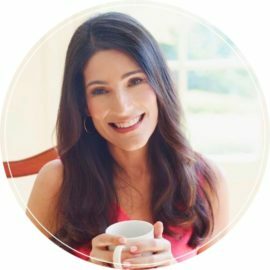 I have tried so many of your recipes and I love all of them! Want to try this one out tomorrow for my daughter’s birthday 🙂 Could I replace the melted butter here with avocado/ any other oil? Hi Manavi, Happy birthday to your daughter! I’ve never tried this with oil, so I can’t say for sure. If you want to experiment, maybe I’d try to use half butter and half oil. If you try them this way, I’d love to hear how they turn out! These are totally amazing! Made it exactly as written. My husband and son loved them! Thank you for sharing your recipe. There is no baking powder or soda? Thank you. Joyce Koenig. Hi Joyce, No leavening needed for these — they’re more like brownies. Hope you enjoy! I really do have good luck with your recipes. I like the way they are written out and am confident that they are tried and tested before being added to the blog, which I appreciate. thanks! Most amazing Blondie recipe, since my daughter is allergic to nuts, I just add a few more chips and omit the nuts…..these blondies barely last a day or two in my house….as always Jenn, thank you for simple, delicious and easy to make recipes. I made the chocolate chip pecan blondies to bring to “game night” Had tried other blooie recipes in the past. Your recipe just shouted “make me, you won’t be sorry”. I’ve been asked to make them for every game night–that’s how big a hit they were. The recipe was simple to follow and results were beautiful and delicious. This recipe is a keeper. Don’t need to change anything. Don’t need to add anything. The recipe is perfect just as it is. Hi Jenn. Can I make these blondies in a metal pan instead of a glass pan? Will there be any difference in the baking time? Sure Gayle. You may need to cook them a few minutes longer but not much. Can you use dark brown sugar instead of light brown sugar? Also, can you double the pecans? Thank you! Yes and yes! Hope you enjoy the blondies. First, I want to say that I am a cooking/baking freak with a huge cookbook/cooking magazine problem–5 bookshelves’ worth! And your website is now my go-to place for recipes!! Fabulous–every one. For this one, I’d like to double and bake in 9 x 13 pan. Any different instructions for this? Also, I’d like to substitute some of the chocolate chips with M&M-type blue and white candies (can you guess which school 😉 ?) sprinkled on top. Suggestions for ratios for doing this? Hi Kim, So glad to hear you like the recipes! These can definitely be doubled- I’ve done it and have used two 8-inch pans, but some readers have commented that they have doubled it successfully using a 9 x 13 pan. Baking time would be the same. And I think you could substitute some of the chocolate chips with some M&M’s with no adjustments. Hope you enjoy! Best blondies ever! I’ve made them twice w/o adjustments and shared them with my husband, grandsons, knitting group, and doormen. Loved by all. I especially love the size … not too much. Since finding your site, I’ve tried many of your recipes and have added them to my collection. Thank you!! I don’t review recipes often because there are so many and who really reads them all? However, I thought I would review this one because I make it all the time. This Blondie recipe is the easiest, tastiest and my husband’s favorite. I started by making them last year in my cooking class I teach, and have been making them ever since – so at least 40 times. Because it’s so basic, it’s easy to adapt. I usually use 3 different chip flavors – white morsels, butterscotch and sprinkle chocolate minis on the top and different combinations thereof. One time I added peanut butter powder and sometimes almond extract and add sliced almonds on the top. Also, instead of using all butter, I use 2 oz butter and 2 ounces coconut oil. They are always good and always a hit. I’ve tried other recipes and they’re not as good as this one. I love Jennifer’s suggestion of parchment paper with the hangover for easy removal. I have adopted this practice for all brownies I make. Thank you Jennifer for this valuable suggestion and sharing this wonderful recipe that is failsafe. Loved it, loved it, loved it! In Kentucky, we love deserts with Bourbon flavor. I searched for a recipe to approximate the famous chocolate chip pecan pie w/ Bourbon only in a brownie. I found yours and modified by soaking the pecans in 2 Tbsp of whiskey for a couple of hours before adding to the mix. The alcohol cooks out but leaves the flavor. Cut just a little bigger and top with fresh whipped cream. Special occasion quality desert! Thank you, thank you, thank you. Forgot to mention I doubled the recipe. Took them to work today and everyone loved them. Must have hit the JACKPOT of recipes on this site. Excellent! Co-workers said it was one of their all-time favorites they’ve ever eaten. The incredible smell in the house made it hard to wait. I’ve never cared for warm cookies but snuck a taste & these are awesome! Great either warm or cold. Thank you again for sharing your site and recipes with all. I have made these 4 times now and have gotten rave reviews. Children say they are the best things ever. It is important to use a glass pan; when I did it in an disposable aluminum pan they were not fully cooked. Thank you Jenn for this wonderful and easy recipe. Hi, what adjustments would I have to make to bake these in a 9×9 inch baking pan besides baking time? Hi Gaby, no real adjustments necessary. They may just be finished baking a tiny bit earlier. What needs to be done to make them in a 9 x 9 pan? I don’t have an 8 x 8 pan. Hi Rick, you can definitely make these in a 9 x 9 pan. I would just decrease the cooking time slightly. Hope you enjoy! Hi Agnes, glad you’re thinking about trying your hand at baking with these blondies! I would suggest you go out and buy a set of measuring cups (they usually come in sets of 1 cup, 1/2 cup, 1/3 cup and 1/4 cup). They will make measuring for baking a cinch. And a stick of butter is the equivalent of 1/2 cup or 8 Tbsp. I have a small Tefal oven. Should I use both top and bottom heating elements? Sorry, Myra — I’m not familiar with that oven. I would go by the manufacturer’s instructions for baking. Can the blondie recipe be doubled? Thank you! Yes Laurie, this recipe can definitely be doubled and cooked in two 8-inch pans. I’ve made these and other recipes from your site Jenn and all have been fabulously delicious. Last time I made these I wondered if this recipe could possibly double for Biscotti if one shaped the bars into biscotti shap loaf, sliced and baked them then re-baked them. Do you think that that might work? Hi Barb, I would really recommend that, but instead, you could try my chocolate chip mandel bread and add nuts to it if you’d like. I’ve read a couple of comments were it says browned butter now are they saying to melt the butter in a sauce pan? These were so easy and delicious. I decided to add chopped dates for the choc chips to make it more of a breakfast bite. Dates are sweet so I cut my white sugar to 1/3 c. Took it to a function and the plate emptied immediately. This will be a staple dessert in our home from now on! Good job! Looks like a delicious recipe! It might be even better if the butter is slightly browned. Yum! These are super easy, delicious and quick! I make these all the time and they are a winner. I double the recipe and bake in a 13×9 pan and they come out just fine (and i often am too lazy to use parchment, so i just grease the pan). I made these for the first time last night and brought them to work today. My co-workers loved them! I brought home a few pieces for my husband, and he thought they were delicious as well. I did reduce the sugars slightly due to personal preference. you did it again! These are yummy! You’re the best. these are sooooo good. I keep looking for recipes ‘like Mom’s’ and these make it. Extremely good recipe. Firm, but not too soft. I didn’t use any nuts, and it still came out great. Perfect!!! We made these with and without nuts. They never last long enough for us to know how they taste the next day unless we make a double batch. Super yummy!!! Just put these in the oven, the batter was delicious reminded me of my moms chocolate chip cookie batter(i would it eat my eatself)i left out the chocolate chips and pecans because i didnt have any in the house then i added shredded coconut. I LOVE coconut. I also doulbed the recipe because i had a feeling they will be amazing .the batter was so smooth and creamy not to sweet. I was search all across the internet for a blondies recipe and your spoke to me. As long as i dont forget about them in the oven (i do that alot,i have a toddler lol) they will be amazing!!!! They smell good already i cant wait! I discovered this blog a week ago and have already made three of your recipes. All of the recipes turned out really well, 5 stars for sure. I’m looking for a fair sized recipe that can be used for a bake sale fundraiser. Can this recipe be doubled? I’m also looking for an easy way to make single portions. Can I divvy up the batter into muffin tins or am I better off using a larger pan and cut into squares? Hi Barb, Welcome to the site! So glad you’re enjoying the recipes 🙂 This recipe can definitely be doubled and cooked in two 8-inch pans. It’s really easy to remove the bars from the pans and cut them into squares so I would stick with that. Muffin tins would work too, but you’d need to reduce the cooking time significantly. Is there any leavening in this recipe? Great recipe and easy make. We made them for my daughter’s office, as they were so supportive during her chemo. The blondies were a huge hit. I’m a dessert loving “Betty Crocker” type, and this super simple, easy, and quick sweet-tooth pleasing dessert is one of my favs! I have to make it practically every 2 weeks lol! I’m wondering if the white flour can be substituted for almond or coconut flour and the sugars for coconut palm sugar? Hi Fontella, I’m sorry I don’t think those substitutions will work. I really want to make these NOW, but I only have salted butter. Can I just omit the tsp of salt or do I still need to add the salt? Hi Sheila, It’s fine; just cut the salt in half. Enjoy! I followed the recipe, and loved them… the parchment paper makes for very easy cleanup! Great simple and enjoyed by all ages. I’ve made this at least 10 times now. I don’t use the parchment paper, it comes out of the glass fine for me. Instead I butter the dish with the end of the stick of butter you are going to melt. I’ve never been a great baker, however having stumbled upon your website, I tried your blueberry muffins which were amazing. I thought I would try this recipe, as I love chocolate, but find brownies too much. At first I thought the mixture was rather dry, however pressed on. The blondies were delicious! I was wondering however, if in future, for any cake recipe, the mixture is too dry, what can you add? Is milk an option? Hi Jyoti, Glad you are enjoying the recipes. As for the dry batter, milk will sometimes work but it really depends what you’re making. Thank you for this recipe. If I wanted to bake in a 13in x 9in x 2in tray, do I double the recipe and would the baking time be the same ? Hi Jennifer, Yes and baking time should be about the same…might need a few extra minutes. I noticed there’s no baking powder in the recipe. Would it be alright to add a teaspoon of baking powder ? Hi Jen, Yes, they just won’t be as brownie-like. I reduced the salt by half as there was something off in flavor. I researched other cookie recipes and noticed they had less salt. Loved the new results. They were delicious! Good but not AWESOME like her other recipes. These blondies tasted good; and it is a straightforward recipe. Definitely did not over-beat & measured precisely. Easy & fast. I prefer a blondie with a different consistency. Would not make this recipe again. These were so good! I played around with the ingredients just a little and instead of adding chocolate chips I added oats and maple syrup along with the pecans. They turned out so good! they were sweet moist and chewy. I also drizzled caramel over the top. Great recipe! Thank you! I made these and they were great! But I felt like they needed a little extra something. I love browned butter and was thinking that it would be a good caramel-y, toasty taste here. Do you know if you can sub browned butter directly for melted butter? Or is there some change to its chemical makeup or volume during the browning that would make it not work or that would need adjustment? Thank you! Hi Erika, Browned butter is a great idea; you can sub it directly. Should I toast the pecans before adding them to the batter? Hi Erin, I don’t bother with this recipe, but you certainly can if you’d like to enhance the flavor a bit. Can I use wax paper instead of parchment? Hi Mary-Ellen, To my knowledge, wax paper is not heat-resistant. Sorry! Have made these several times since finding the recipe. Did it as directed and also did it with butterscotch chips and Heath chips. So versatile and so quick and easy. I’ve made these twice since finding your site last month. Quick, easy recipe. Since I have to omit the nuts (allergy), I lowered the amount of sugar the 2nd time. They were just a touch too sweet for my family’s tastes. I’m sure with the addition of nuts, it would be perfect as written. These are fantastic…..chewy and a great taste of brown sugar mixed with the pecans and chocolate. I have made them several times already and will continue to do so. Question: when I melt the butter and mix with sugars, my mix doesn’t blend well until I add the egg. Do you have an idea why? The picture in your instructions has it looking very homogeneous, whereas mine shows the butter wet from the sugar, but still separated. I can send you a picture that I took if you like. Hi Janet, Are you using an electric mixer or mixing by hand? Can I double this recipe in a 9×13 pan? Hi Vao, Yes, that should work fine. My first time making blondies and I’m obsessed! Incredibly easy and delicious! I made this gluten free with King Arthur gf flour and they were just as delicious! So yummy and easy! I used almonds and hazelnuts since I had no pecans. Ate 3 pieces late last night! So glad I found your site Jenn! I΄m a 41year-old mum of two boys(12 and 6)with a love for cooking and baking,too! (not a pro,though). Thank you and many kisses from Greece! Jenn– I made your delicious chocolate chip pecan blondies to take to my daughter’s luncheon and saw a beautiful girl playing with my granddaughter who looked familiar–your daughter! I recognized her from your photos and videos– what a sweetheart and what a coincidence. The blondies were so easy and there wasn’t even a crumb remaining on the plate. Definitely doubling the recipe next time. Another winner. These are delicious & so fast. By the time your oven comes to temp, you’ll be done with the batter. They taste like a much yummier version of the “Chewy Bars” on the side of the Jiffy Cake Mix box that my Auntie Rita made when I was little! I discovered blondies at protein bakery’s site and had to try them myself. Easy to make and so very good! One bowl brownies that are absolutely delicious – what more could you ask for in a recipe? I make these all the time for gatherings and birthday treats! These were a great hit! I added more, different types of chips when I made then (chocolate and peanut butter or chocolate and butterscotch). They also stayed soft a fresh for days. Recently participatedin a cookie swap. These were the bestin the bunch, bar none. Everybody wanted the recipe! These are now my husband’s favorite dessert, and they are so quick and easy to make. A staple in our house! are you sure it was 350 degrees…. i just made it and it all burn out..
Hi Mala, So sorry your blondies burned. 350 is a very standard oven temperature when baking cookies or bar cookies. You might want to calibrate your oven — it could be that your oven temperature is not running true to the dial. 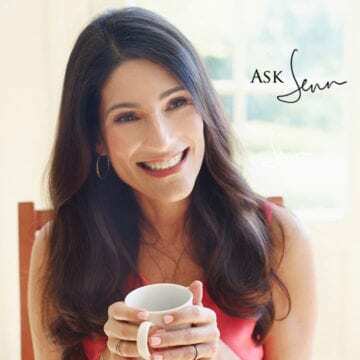 Hi Jenn, thanks so much for answer me. I just find out few days ago what’s wrong with my cake. your oven are using farenheit and i am here in Indonesia using celcius. from the bottom of my heart i do apologize to you. I can’t wait to make these first thing tomorrow morning!! Thanks for sharing…my first time to your site tonight and I love it so far!! Review for this recipe: this was a hit in my house, perfect texture, the only thing I would change the next time I will make this, I will use less chocolate chip….but this just my preference, because all that chocolate didn’t let me enjoy the wonderful taste of the blonde. Can you just go ahead and do a cookbook???? I have a couple really good recipe templates that I use for my recipes and hand out to my friends. Jenn is really great at letting us use her recipes (Thanks Jenn!). I will always cite her information as well for my friends. The templates I use are Cook`n (purchased at London Drugs) and Chef`s Palate (purchased off the internet). Both are great to use. Cook`n is easier and more versatile. are these supposed to have a cake-like consistency? yours look like they do but mine didn’t turn out that way. Hi Rach, I would say they’re somewhere between cake-like and a soft, gooey cookie. Summertime is here and it is HOT! I am not baking as much as usual this summer with 4 active teens in the house, but needed to make a quick, sweet treat. This recipe can be made on the spur of the moment since you use melted, not softened butter. Texture is amazing and we loved the glossy top. Also, love the tip about spraying the pan and using parchment paper for easy lift-out…I always learn something new from this blog. Thanks, Jenn, for yet another ‘keeper’ recipe. One of my favorite snacks, can’t wait to try this recipe, thanks. We made a few changes to the recipe since I don’t like pecans.Though it was still good. These brownies are easy to make and so delicious! They will become a staple for you! A perfect lunch box treat! These are wonderful for the out of the ordinary lunch box or after school snack. Not your regular cookie! I made these Blondies and they instantly transported me to my grandmother’s kitchen when I was a little kid. They are delicious and easy to make-my family scarfed them down in no time. Thank you. These are delicious, i’ve made them several times and they are extremely easy and always a hit! If I doube this what size pan would I use? Hi Leslie, I believe you’d use an 11 x 7-inch pan. Not only are these really yummy, but they are an efficient way to satisfy my family’s craving of chocolate chip cookies without having to drop by the spoonful . . . We brought these to a friend’s house and they raved about them. Delicious and Easy….A coworker made these for the office as described and they were wonderful. I decided to try them with Heath Bar pieces and chocolate chips and they were great! Oh yum! This looks delicious! Choc chip + pecans + blondies = mmmmm! I whipped up a batch of these last night and surprised my husband and son. They are already gone! I think I’ll make a double batch for a function I’m going to this Tuesday evening. These were delicious and would satisfy even a chocoholic. But the burnt sugar flavor is what I love the most. Also loved the crackled top. Another great recipe from your kitchen to mine. Loved this recipe! Blondies came out perfect, can’t wait to make it again!! this is definitely a keeper!! I made these for my family recently and they were gone in minutes. Everyone loved them and several people asked for the recipe. Thanks for sharing! I found this recipe around Christmas time and decided to try it. It was easy and they turned out delicious. My family loved them. Thanks to the Blondies, I now subscribe To Once Upon a Chef! Yummy! Very easy to make and turned out beautifully. Thanks Jen! I was wondering if you used a leavening agent of any kind? I don’t see anything listed in the ingredients. Hi Amy, No leavening agent is necessary for the blondies. They are meant to be on the moist and fudgy side, like brownies. Thank you for sharing, easy to make and so darn tasty! It’s a real keeper. They were truly amazing! 😀 Yum! Thanks for sharing , gonna try the reciepe for sure . I made these this past weekend for a girly road trip for a scrapbooking retreat! They were ridiculously simple to make and were delicious to eat! They were a huge hit with all the girls! They will be my go-to recipe for quick and easy munchies and dessert! Danita, Definitely use salt. Hope you enjoyed! I made these for an opening for my gallery, and they were wonderful. definitely a new favorite for me. Made these tonight sans the nuts. They are delicious and easy. I was wondering about the salt. If I use regular salt should I still use 1t? I noticed you used sea salt. I commented earlier about these ( I am the Mets fan), but true to my word I did make these and they are really, really, easy and delicious! Thank you so much. When you bite into these bars, you immediately taste the butter, then, the sweetness, then, the saltiness, and crunchiness…totally heaven. Made these for my book club and they loved them! Your kids are adorable. I’m surprised you can send nuts to school. I wish! These look amazing. lol…my kids lunch boxes were pretty much untouched too! These look delish! I have to make these soon, even though I have many other recipes like this. These look stunning and I would definitely eat my lunch if I knew I had these in my lunch box. You are such a good mom! I love that your kids look so pleased with the outcome, and I love it that your son is a mets fan. I am too! A religious one, through thick and thin. Thank you for this recipe. They look so delicious. Beautiful pictures! Wow, the pictures of these looking amazing! Wish I had one (or two, or three…) to go along with my morning cup of coffee right now! 🙁 Can you substitute whole wheat flour, or a combo of whole wheat and all-purpose, without compromising flavor/texture? I try to avoid white flour and would love for you to tell me I can still enjoy these w/out it! 🙂 Thanks! What a great blog! So glad I found it!